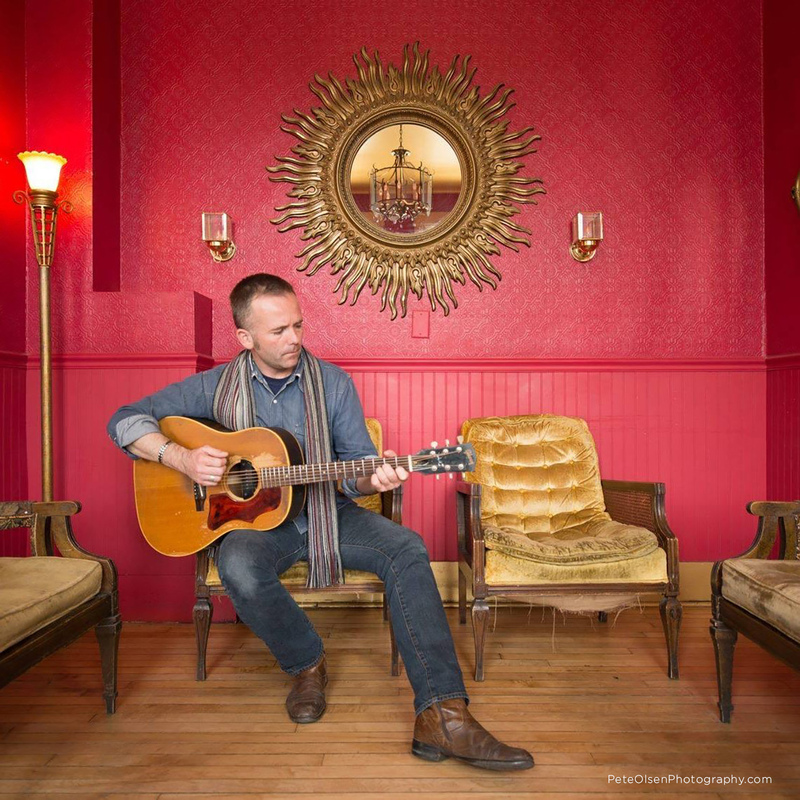 Josh Harty @ The Greystones, Tuesday April 16th + The Fargo Railroad Co.
On Tuesday April 16th, WagonWheel Presents… welcomes Josh Harty back to The Greystones. 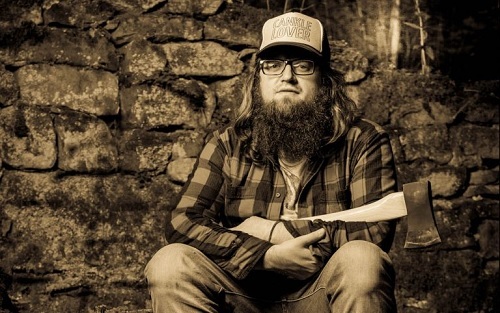 Harty’s unique blend of American music has become a must-hear for those who keep the tradition of country, blues and folk close to their hearts. Opening the show with an acoustic set will be The Fargo Railroad Co., and there may be a special guest along too. Advance tickets priced at £8 are available from http://www.wegottickets.com/event/457872 and the venue (12-6pm), or entry on the night will be £10. Doors open 7.45pm. Josh Harty is a messenger. A North Dakota songsmith. “A true son of the heartland whose bold defiance and riveting delivery channel the essence of American music” (Glide Magazine). As the son of a small town police chief and preacher, grandson of a South Dakota polka legend, Josh grew up performing with his dad at every Lutheran Church, Eagles Club, Moose Lodge and Rotary Club in the Upper Midwest. Having released several internationally-acclaimed albums and performing across the US & Europe, it is clear that Harty was born and bred for this. His live shows prove that good storytelling combined with journeyman musicianship is as authentic as music gets. On Monday April 8th, WagonWheel Presents… welcomes Good Lovelies back to The Greystones. They return in support of latest record Shapeshifters, and for the first time in the UK this will be a full band show. Joining them for their UK tour, and a song or two on the night, will be fellow Canadian artists Fortunate Ones who’ll get the evening under way. Advance tickets priced at £15 are available from http://www.wegottickets.com/event/454520 and the venue. Doors open 7.45pm. You hear it a lot these days – the idea that something is greater than the sum of its parts – and yet there’s really no better way to describe the musical essence of the Good Lovelies. 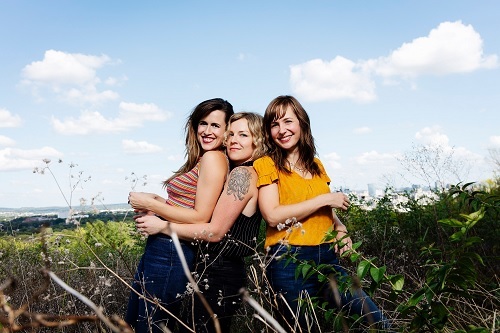 Kerri Ough, Sue Passmore, and Caroline Brooks – immensely talented vocalists and songwriters in their own right; however, it’s their voices interwoven in harmony – powerful and pure, organic and inspiring – that elevates the Good Lovelies from impressive to peerless. Over the course of their decade-plus career, they’ve covered plenty of stylistic ground, adding tinges of pop, roots, jazz, and even hip-hop to their country folk core at various points. The trio first united in 2006 for a one-off performance and has since compiled a catalogue of four studio albums, a pair of EPs, a live album, and Christmas collection. Through it all, the unmistakable sound of their intertwined voices has been the sonic anchor, and that remains true as the Good Lovelies now look to push further into the mainstream with their most accessible and pop-influenced output to date. Their upcoming collection offers a perfect balance between a more modern production style and the wholesome musical influences that have made them a household name over the years. What’s more, the songs themselves build on the Good Lovelies’ familiar foundation with a widespread appeal. 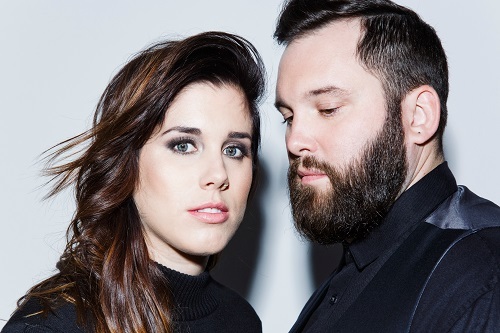 Fortunate Ones is Newfoundland’s JUNO-nominated duo Catherine Allan and Andrew James O’Brien. Known for dynamic live performances, effortless union of voices in harmony, and anthemic melodies – they embody a wide-eyed energy, deliver messages of reflection and optimism, have an earnest mission for connection, and are endearing audiences across Canada and beyond. Their songs celebrate coming of age, ambition, decisions we make to persevere, and the resilience of the human spirit. Their latest album Hold Fast produced by Daniel Ledwell was released in 2018. 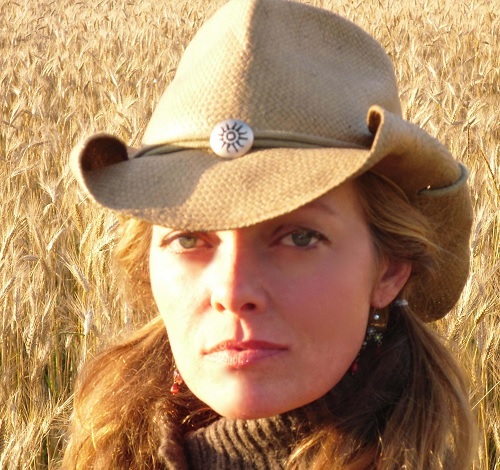 On Tuesday March 5th, WagonWheel Presents… welcomes Angel Snow to The Greystones. An in demand songwriter and acclaimed independent artist Angel Snow has been crowned “Nashville’s next stealth pop weapon”. Support comes from Gemma Gray. Advance tickets priced at £8 are available from http://www.wegottickets.com/event/457871 and the venue, or entry on the night will be £10. Doors open 7.45pm. When the lights go down and the world turns off, the truth comes into focus. Such moments of quiet introspection invariably inform, impact, and inspire Nashville songstress Angel Snow. As life spins at light speed without pause, she provides understated pop folk bliss that echoes with pure and powerful emotion. With warm delivery, soulful intonation, evocative lyricism, and a hint of pop ambition, Angel continues to translate urgent moments into unforgettable music. Over the past decade, she went from penning songs for the likes of Alison Krauss to stepping into the spotlight as a buzzing independent solo act on her 2012 self-titled debut, Angel Snow. Its lead single “These Days” eclipsed over 6 million Spotify streams and counting as she attracted a growing fan base. In the ensuing years, she built an international profile by regularly touring the globe. 2016’s “Secret” notably featured in a popular video by internet superstar Ingrid Nielsen entitled “Something I Want You To Know (Coming Out),”which went viral with 17 million views. Meanwhile, her 2017 sophomore outing, Magnetic, earned widespread acclaim. Among tastemaker praise, American Songwriterwent so far as to describe it as “superb.” 2018 saw her progress once more. After meeting Ben Kramer of Old Sea Brigade, she enlisted him to produce her Arrows EP. Together, they unlocked new facets of her sound, embracing swaths of purring ambience, expansive omnichord, delicate guitar, and bass transmissions. Over the course of five months, they assembled the six-track EP. In the spirit of experimentation and evolution, they envisioned this body of work in two formats: full production and acoustic. The latter allowed her to experience the songs at their rawest. The first single “Window Seat” illuminates the nuances of her narration. Delicate beats and sonic flourishes underscore a vivid and emotionally charged portrait of moving on. Her voice echoes with a stirring sense of soul on “Arrows,” which details“a love story of two people who have to let each other go.” “Higher Urgency” hinges on a positive proclamation highlighted by robust vocals and infectious energy.Meanwhile, the unexpectedly upbeat “Maze” recalls an evening of reckless abandon over lush instrumentation. In the end, Angel beckons you turn off the lights, close your eyes, and drift off to this music. Gemma Gray plays Americana & folk tunes inspired by Stateside travels, recounting tales of love, dreams and all the things in between. Some of those songs formed the basis of debut EP My Joshua Tree that was released last year. On Friday November 16th, WagonWheel Presents… welcomes Stoney to The Greystones for a long overdue Sheffield headline show. Stoney will be accompanied by a small troupe of excellent local musicians for a stripped back and intimate show, revisiting some of the more tender moments from his extraordinary and eclectic body of work spanning 15 years, in addition to debuting brand new songs to be released in the new year on Hudson Records. Support comes in the shape of Stoney’s long time pal, Neil McSweeney; one of Sheffield’s finest songwriters, and award winning Newcastle singer/songwriter Cortney Dixon. Advance tickets priced at £10 are available from http://www.wegottickets.com/event/449803 and the venue (12-6pm), or entry on the night will be £12. Doors open 7.45pm. It’s astonishing to think that it’s been 12 years since Stoney’s much celebrated genre-defying debut “The Scene & The Unseen” was first released – it’s a testament to the timelessness of Mark Stoney’s unique songwriting & production talent that it still sounds fresh today. The highly eclectic record established the precocious multi-instrumentalist as a prominent if peripheral figure in the “New Yorkshire” Scene (as the NME then labelled it) and his reputation as an exciting live performer found him frequently frequently sharing the stage with a diverse range of artists ranging from Arctic Monkeys to Laura Marling. Stoney’s keen ear for classic melody combined with unique production and a sharp lyrical potency opened doors for the gifted indie juggernaut on both sides of the Atlantic; and following a performance at the SXSW festival in 2008, Stoney left Sheffield and hopped the pond to set up home and studio with “Some quirky poet and painter friends” in a rickety old house in Austin, Texas. However, what was expected to be “a year or two of sunshine” to work on new material turned into seven. During this time, a musical diversion led Stoney to co-found the much lauded high energy “Dirt-Pop” trio Bobby Jealousy, who released two critically acclaimed albums, and toured the US extensively for two years. Stoney describes this period as “an exhilarating, volatile, beautiful, ugly and unsustainable mess that imploded as quickly as it arose”.Reeling a little following the demise of the band, Stoney resumed work once again on his next full solo album, and things started to take a darker, albeit more sophisticated turn; poetically documented in his last full length release, the fearlessly passionate “More Than Animals”. Combining hauntingly beautiful lyrics, soaring melodic arrangement and profoundly intimate vocals, the record was met with a flurry of critical praise upon it’s Stateside release and led to many major US film & TV placements. But with his personal life in array, it was to also bookmark the end of his time in Austin. 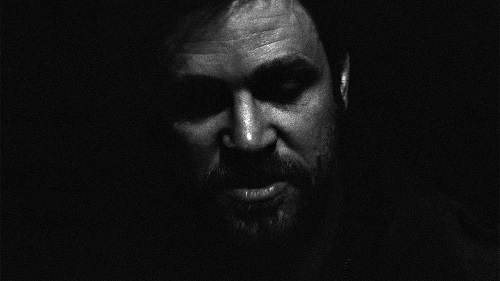 Folk singer-songwriter Neil McSweeney emerged from the flowering of Sheffield music that gave the world the likes of Slow Club and Richard Hawley and has since established himself as ‘a songwriter of rare ability’ (R2). Setting lyrics that deal with the contrasts and contradictions of life to romantic melodies as hopeful as they are melancholy, McSweeney’s finely crafted songs have been championed by his peers as well as across national radio and mainstream and specialist press. 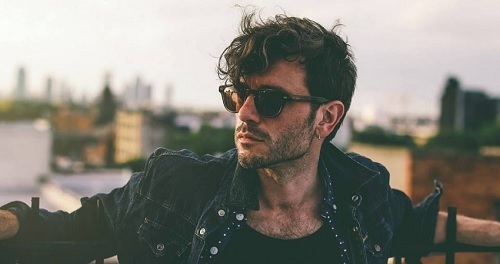 Since the release of his last album, Cargo, McSweeney has made increasingly big waves on the English folk scene picking up main stage festival appearances and collaborating with the likes of Jon Boden and Fay Hield. 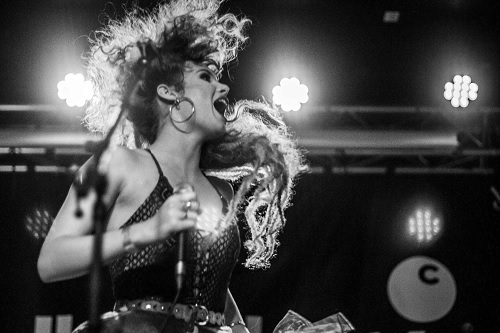 Cortney Dixon is a 21 year old singer-songwriter with big hair and a pink paisley telecaster. With a unique voice and distinctive style, Cortney performs and writes an eclectic mix of music with beautiful melodies and catchy guitar riffs, whilst incorporating elements of ska and big pop vibes. No doubt this comes from growing up listening to the likes of Fleetwood Mac, Kate Bush, The Specials, David Bowie, and most recently getting into the likes of St Vincent and Sigrid. 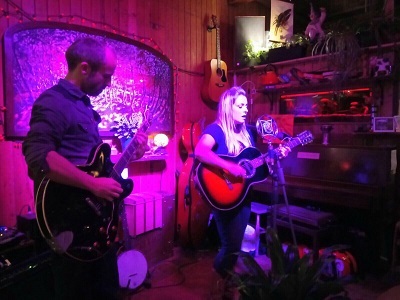 Cortney has spent the last 3 years working on her craft, playing gigs around the UK with her 5 piece band and writing with others such as Mark Stoney. This young Geordie is getting ready to release her very first singles in the new year. 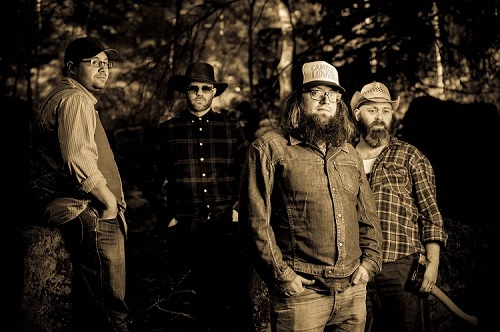 On Tuesday November 6th, WagonWheel Presents… welcomes Otis Gibbs back to The Greystones. The favourite son of Wanamaker, Indiana, USA returns in support of his most recent album Mount Renraw. Opening the show will be Paul McClure. Advance tickets priced at £11 are available from the venue (12-6pm) and at http://www.wegottickets.com/event/444583. Entry on the night will be £13. Doors open 7.45pm. Otis Gibbs is a Songwriter, storyteller, painter, photographer and planter of 7,176 trees. He once wrestled a bear, and lost. He has been described as “The best unknown songwriter in music today.” If you ask him, he’ll simply say he’s a Folk Singer. He also hosts a podcast called Thanks For Giving Damn which features your favorite musicians, journalists and historians sharing memories, backstage stories and history lessons. His podcast quickly became a cult favorite and lead to him hosting Country Built on Pandora (USA) where Otis tells stories about the history of country music to his 2 million+ subscribers. He grew up in Wanamaker, Indiana, but now lives in East Nashville with his long time partner, Amy Lashley. His latest album is Mount Renraw. 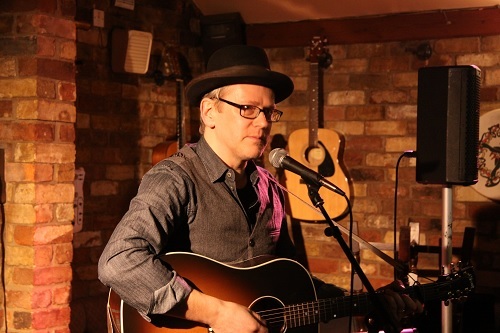 Paul McClure is a singer and songwriter from Rutland, England where he lives with his wife and daughters. The passing world is the fodder for Paul’s characters and story lines in particular the loves, laughs and losses that have come his way. 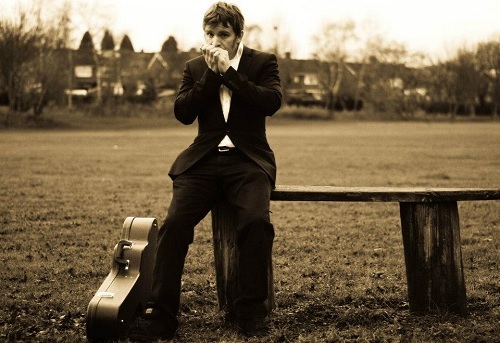 Prior to his current releases, McClure has recorded 2 solo albums of original songs – ‘No Place Like Home’ in 2003 “fresh, vibrant and bounds with enthusiasm for his craft” 4**** Fatea, and ‘Desire Lines’ in 2008 before spending the best part of the next four and a half years playing with The Hi And Lo, described as “Superior roots music from Leicester” by Americana UK. The Hi And Lo put out an album in 2010 called ‘Ten Tracks’. 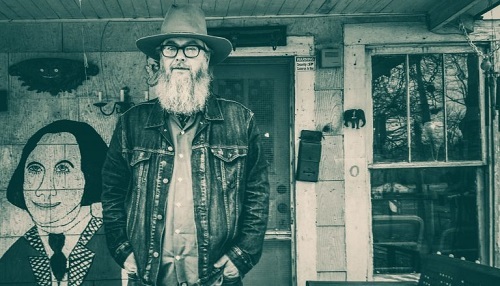 Two further solo albums have followed on Clubhouse Records, plus EP Paul McClure & The Local Heroes, with a new record set to follow in 2019. On Thursday November 1st, WagonWheel Presents… returns to Hop Hideout for another special night. We’ll be getting up close and personal with Andy P. Davison (The Black Thunder Revue) and Jody Davies (The Fargo Railroad Co. / King Quentin / A Prayer Away) in the intimate surrounds of the Abbeydale Road beer shop & tasting room for an unplugged acoustic performance. Due to the cosy confines of this unique venue, tickets are strictly limited and advance booking is highly recommended. When places are gone, they’ll be gone. Priced at £8 they will be on sale from http://www.wegottickets.com/wagonwheelpresents at 9am on Monday September 3rd. Doors for the event will be 7.45pm. When he’s not playing shows as part of The Black Thunder Revue, Andy flies solo with his trusty resonator guitar. The sound is rooted in Blues and Rock ‘n’ Roll, but draws on many styles. 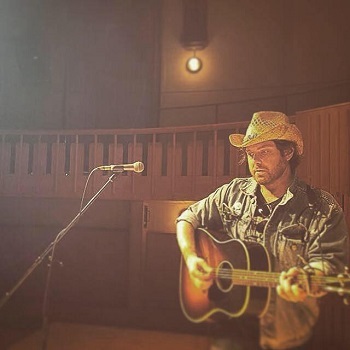 If being in three bands wasn’t enough, Jody Davies airs a more stripped down set of songs in a rare performance of his solo material. Tonight with just his vintage Gibson J-45 (you may know her as Dolly), expect raw, heartfelt songs and to hear one or two of the stories behind them. On Tuesday October 30th, WagonWheel Presents… welcomes Rachel Harrington back to The Greystones when she returns to these shores with a brand new covers album I Wish I Was In Austin, ahead of the 2019 release of the long awaited new record Hush The Wild Horses. Opening the show will be Boss Caine. Advance tickets priced at £10 are available from http://www.wegottickets.com/event/443305 and the venue, or entry on the night will be £12. Doors open 7.45pm. From the Pentecostal pines of Oregon, Rachel Harrington has been a Bob Harris favorite for some time now. Her fifth studio album (out 2019), is a home-coming of sorts. Hush The Wild Horses is the result of five years largely off the road, homesteading in Oregon, being with family. The stories behind this harvest of songs include a brother with a meth addiction, a Vietnam veteran uncle who commited suicide at age 40, and a grandmother who died while holding Rachel’s hand. “It’s definitely my most personal record,” she says. Harrington has played major festivals throughout Europe and the US, made four live appearances on BBC’s legendary Bob Harris Show, and reached millions of listeners through airplay at Starbucks. A 2011 winner in Merlefest’s esteemed songwriting contest (previous winners include Gillian Welch and Tift Merritt), this is Rachel’s much-anticipated return to recording and touring. Boss Caine is the main musical vehicle of hard living, permanently gigging, story telling, troubadouring, award winning, UK singer songwriter, Daniel Lucas. He is often joined by any number of incredibly talented guest musicians. Follow up The Rhythm And The Rhyme brought further acclaim in 2012, and brand new record Loved By Trouble, Troubled By Love was released earlier this year.